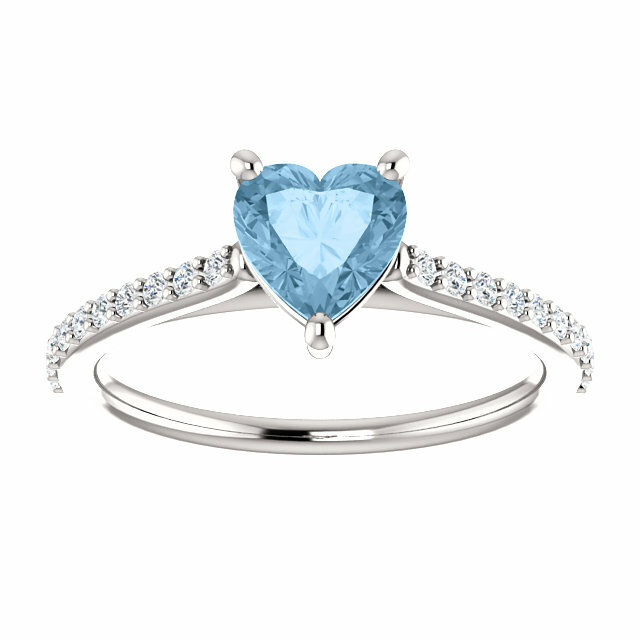 Capture her heart any time of the year with this perfectly designed authentic heart-cut Sky Blue Topaz gemstone ring from Apples of Gold Jewelry! The ring, available in .925 sterling silver or gold (yellow or white), shines around the 6mm x 6mm AA rated topaz stone that matches the beautiful and serene shade of the sky. 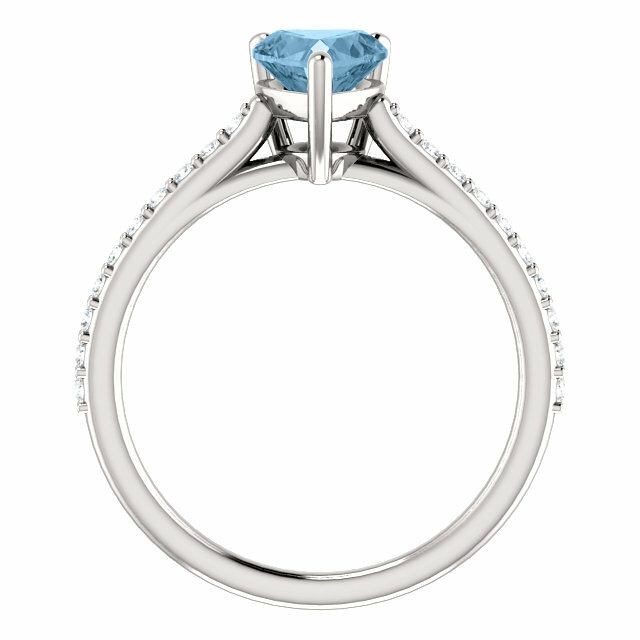 Twenty cubic zirconia gemstones line the band of the ring on either side of the sky blue topaz, adding even more dazzle to sterling silver ring's unique design! 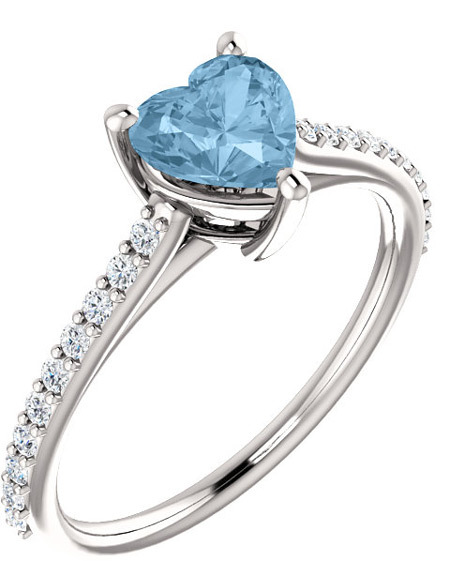 We guarantee our Heart-Cut Sky-Blue Topaz Ring in Sterling Silver to be high quality, authentic jewelry, as described above.